Holiday festivities are in full swing, and there’s no reason you should leave your pup out of the fun. There are tons of ways they can look silly for the holidays, just like you in your goofy, ugly Christmas sweater. Obviously, not all dogs like playing dress up. If your dog hates wearing anything, don’t force them. However, if they like the extra pampering and attention that comes with dressing up, go for it. Make sure to give them plenty of loving and treat rewards for being a good sport! 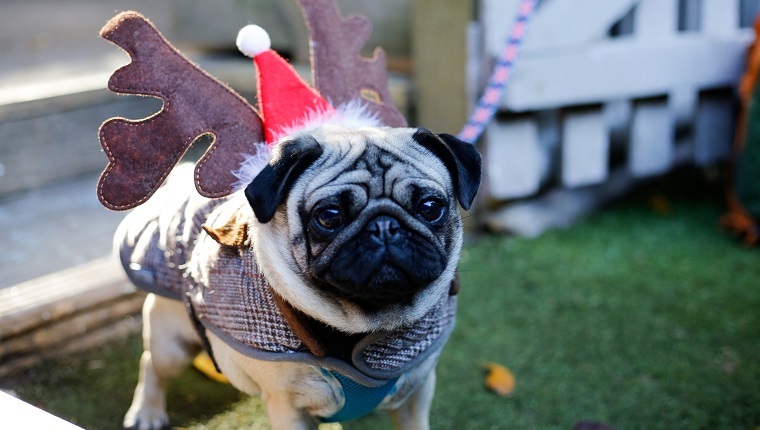 Here are some of the most ridiculous–but adorable–things you can dress your pooch up in to get into the holiday spirit. 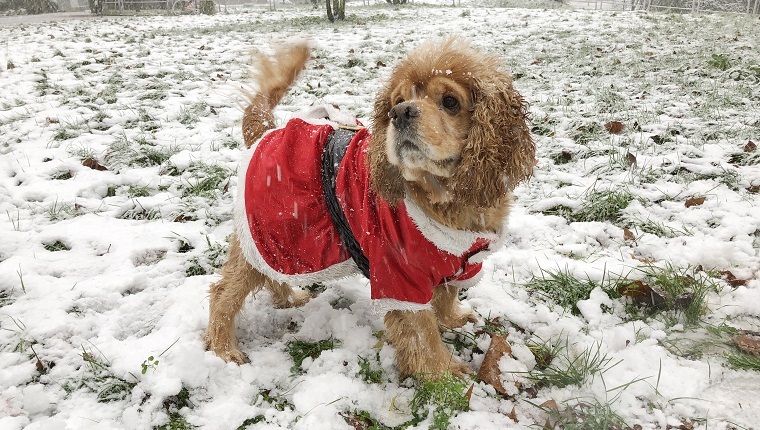 Okay, so maybe you aren’t exactly the dress-your-dog-to-the-nines person, but you aren’t the Grinch, either. There are simple accessories for your four-legged friend that still spread the holiday spirit. A simple set of socks will not only set off a chorus of “awws” at any holiday party, they will also keep your pup’s paws nice and toasty. Or, you could just pop a bow on your dog’s collar for minimal effort, maximum cuteness! For you, listening to Christmas music as soon as the plates are cleared off on Thanksgiving is not only acceptable, but enthusiastically enforced. Your dog is not going to simply don a holiday bandana; they’re going to be completely decked out. You can find tons of matching holiday sweaters for you and your pup online. Is there anything that screams “merry and bright” more than matching sweaters? We think not. For those who make it into Santa’s A-Team, you can’t go wrong with the classic reindeer look, as inspired by The Grinch. 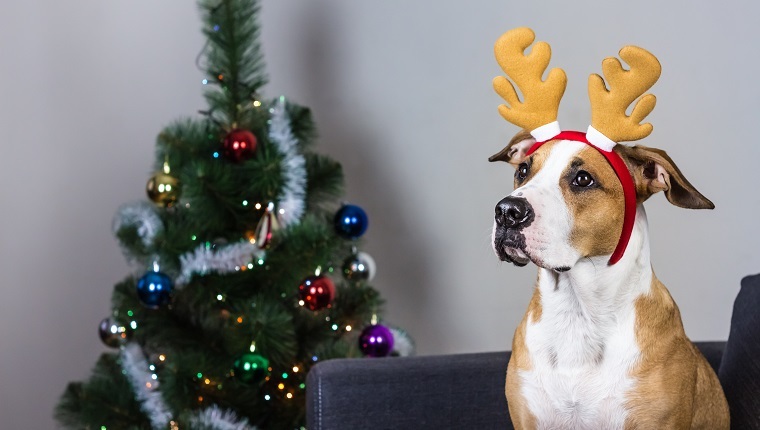 Your dog’s already adorable, and adding a set of reindeer ears will only amplify the cuteness. Your dog can be your little helper around the house. They clean up any food that may have somehow ended up on the floor–or on any low surface–wake you up with a wagging tail, and instinctively know when you are having a bad day and need a snuggle. 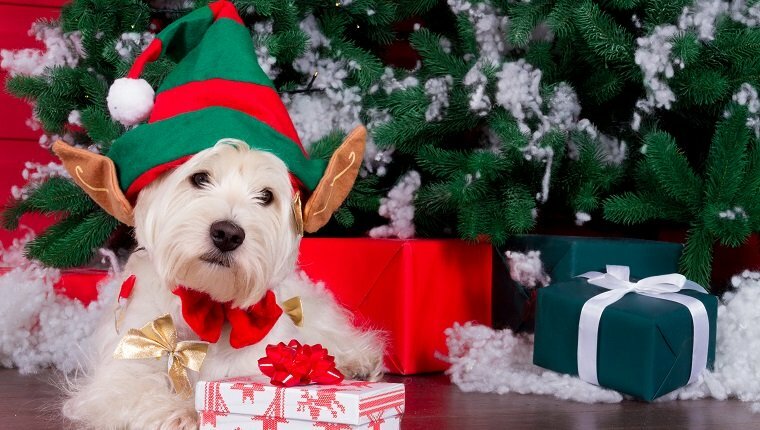 Dressing your pooch up as an elf is both merry and fitting. Maybe you just saw all of these photos and chuckled to yourself at their “cute” attempt to fully encapsulate all that the holiday season is. Child’s play, you say. Here are some ways to dress up your best friend, your holiday muse, in ways that can only be described as art. If you get enough hounds to dress up as Dickens’ Carolers, you can parade them around your neighborhood and demand that your neighbors watch them “sing” at their doorsteps. 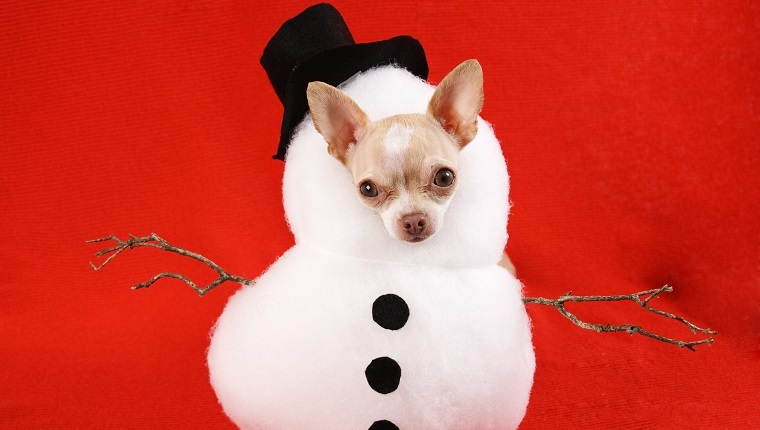 Maybe your pup would look extra festive in Frosty the Snowman’s entire body. Must be some magic in that old top hat! Whatever your holiday style is, there is a way for your pup to reflect it. 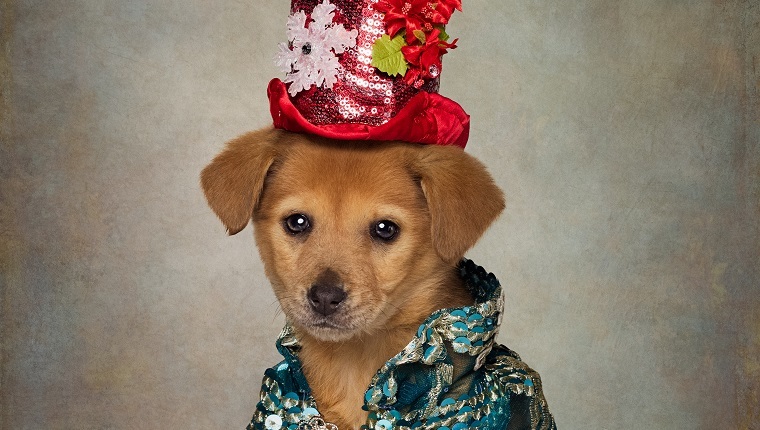 Are you planning on dressing up your dog for the holidays? Let us know below in the comments!